This tiny Mac can run tiny Photoshop for work on tiny pictures. Javier Rivera has a daughter, but the American Girl doll accessory he found on eBay was for him. It was a miniature Macintosh computer, a non-working toy for an 18-inch doll, and he had to have it. The nerd in him believed he could make it run Photoshop. 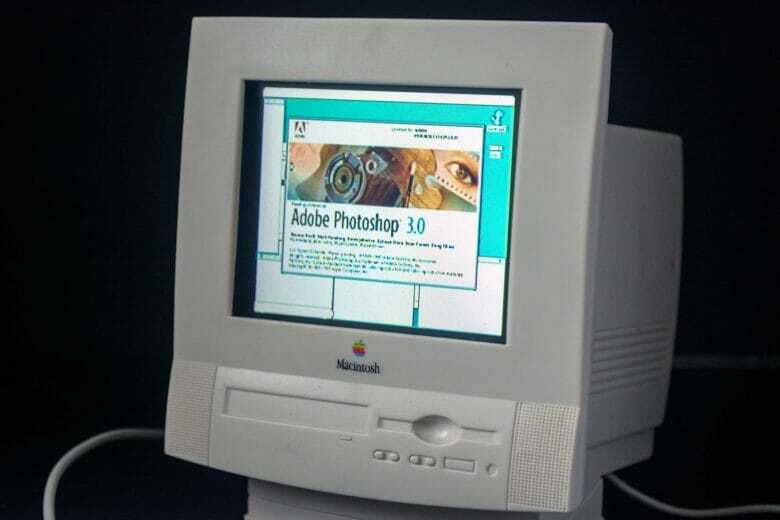 Sure enough, the user experience designer from Miami recently powered up the monitor of the toy Mac and clicked through the various tools and features of Adobe Photoshop 3.0. Like anything having to do with American Girl dolls, Rivera’s play required great imagination. Inside the toy monitor housing, he fit a Raspberry Pi Zero. On it, he ran emulation software for Mac OS 7 and Photoshop. Rather than using the tiny toy mouse or keyboard, Rivera used a wireless Bluetooth keyboard to work on Photoshop. Javier Rivera takes the yellow out of vintage computers at KansasFest. If Rivera’s family doesn’t understand him, his enthusiasm for home-brew challenges makes him a revered figure in a subculture of Apple fans who celebrate the company’s first mass-produced personal computer, the Apple II. Fans gather for KansasFest in Missouri every July to exchange software, get maintenance tips, hack machines for upgrades and have fellowship in one of the most devoted communities within Apple’s fan base. 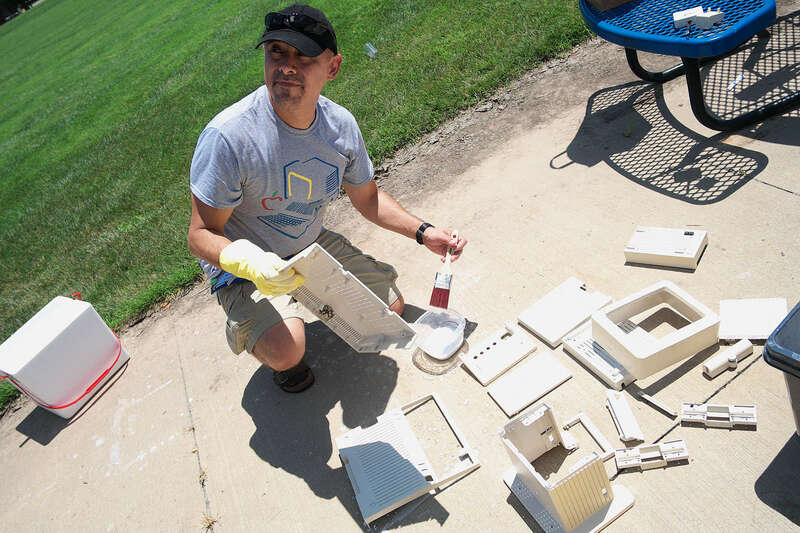 During last year’s KansasFest, Rivera was featured in Cult of Mac for his knack for making the yellowing plastic parts of old Macs white again. He mixes salon-strength peroxide, arrowroot and OxiClean laundry booster. His Retrobright recipe, along with bright sunlight, makes an old Mac’s housing look as white as the day it was boxed in the factory. When he’s not making the vintage Mac world a brighter place, Rivera loves to play with emulators — hardware or software that allows one computer system to imitate another. It first became popular with gamers, when developers found ways for new devices to play old games. Other emulators run a different operating system in a virtual environment and Rivera loves exploring older systems. He never used an Atari or Commodore computer, but with emulation software, he gets a feel for these building blocks of personal computing history. This toy is an homage to Rivera’s two favorite tools: a Mac and Photoshop. What set Rivera’s imagination in motion over the toy Mac was its on-off switch. The monitor actually lit up to display a couple of images that a kid could toggle back and forth by clicking on the mouse or keyboard. He asked himself, why not put a real computer in there? The Raspberry Pi Foundation offers low-cost, high-performing computer components that help people learn to compute through the process of building. It is especially popular in the education field. However, Raspberry Pi’s popularity extends into home and industrial automation and DIY computer communities. The single-board computers began selling in 2012 and ended last year having sold more than 11 million units. Rivera gutted the toy Mac and bought the smallest in the Raspberry Pi series, the Pi Zero. It fit, but with no Bluetooth or Wi-Fi, Rivera had to equip it with a Bluetooth dongle so he could work off a wireless keyboard. American Girl has had a few Apple accessories for its dolls, including the original iMac and, most recently, an iPad and a MacBook. 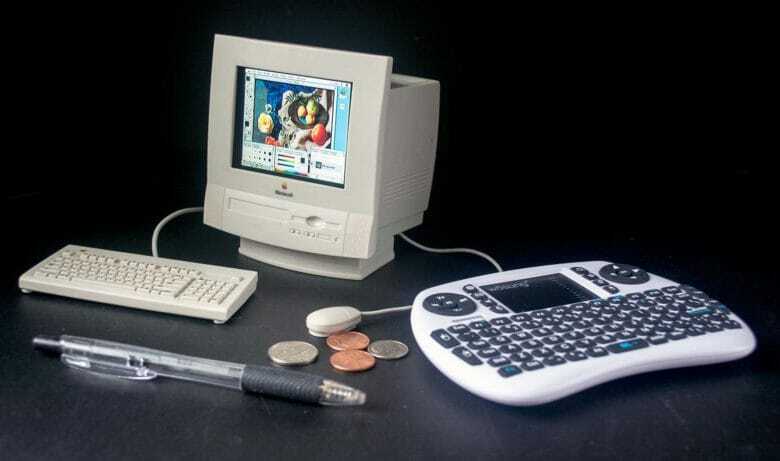 Rivera’s toy Mac is actually a 1996 model. The Mac-specific accessories, which even include mouse pads, often can be found on eBay. The 1996 Mac lists anywhere from $10 to $40. To make the experience as authentic as possible, Rivera wanted to avoid seeing Raspberry Pi graphics that would appear as the computer turned on. A friend of his wrote a line of code to make the screen blank during this period so he could see Apple’s Finder icon appear and then move right into Photoshop. Despite all that work, the toy Mac is now just a slightly more powerful toy. At 3.5 inches wide and 4 inches tall, the graphics are hard to read. But maybe American Girl can create a new character based on a photographer, a graphic designer or a tech tinkerer like Rivera.